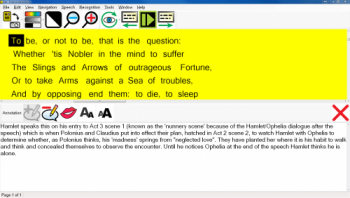 Lex Software - Perfect Dyslexia Reading Aid! Lex - Perfect Dyslexia Reading Aid! 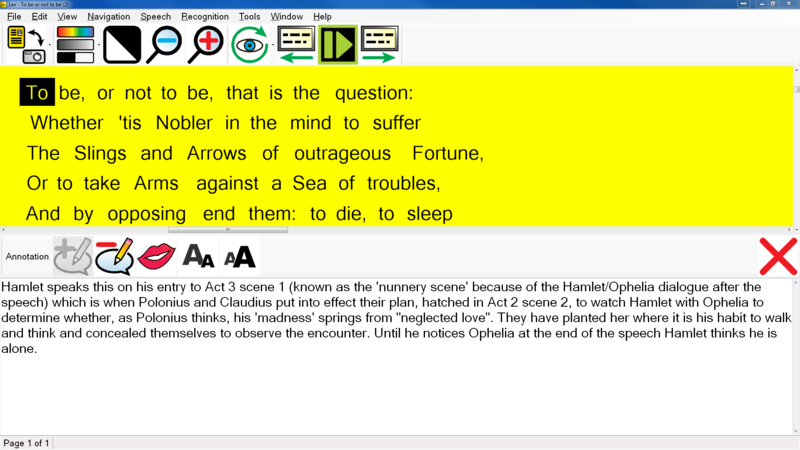 Lex Software - re-colour, re-format, annotate, magnify, read, import (virtually any electronic file), convert, bookmark... your perfect dyslexia reading aid! See screen. 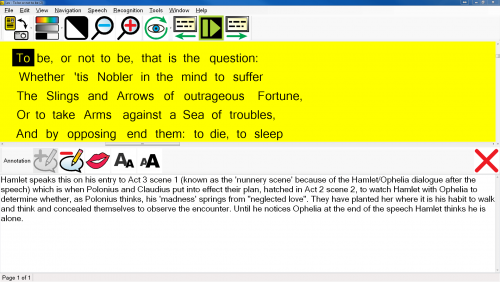 Lex is a specially designed software package for dyslexic users and users with learning difficulties that allows them to quickly acquire or import their documents and then convert them into a viewing style or document format that makes them far easier and faster to read and comprehend. This includes colour adjustments, (colour replacement and tinting), line spacing adjustment, 6 viewing modes (visualisations), custom highlighting and many more. When purchased with the recommended LexCam, users can capture documents at up to 20 pages per minute, then store them on their PC, laptop or Mac* and never need the physical book or document again! 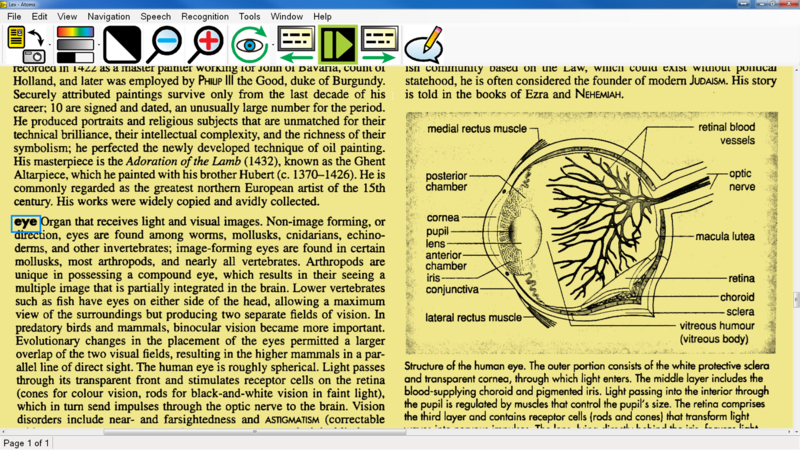 Lex is for any dyslexic or learing difficulties user with a computer system, who wants near instant, easy and accurate access to printed (via scanner or LexCam) or electronic format documents. It has been designed with the aid of dyslexia assessors and dyslexic students at Bristol University in the UK, to ensure its features are as honed as possible. Lex Software running on a Macbook Air with VMWare Fusion 4.0 and Windows 7 and 8 (future). 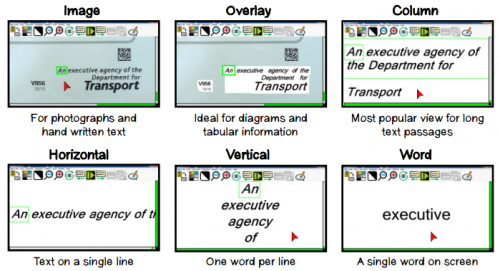 Experience a benefit from using coloured overlays or tints when reading. Can read documents more easily if the size of the font or spacing between letters and/or lines is increased slightly. Need to read or study more than one language? This is Lex's number one benefit. With its advanced text visualisations and styling modes, users can find their perfect viewing style which makes reading far easier and more enjoyable. 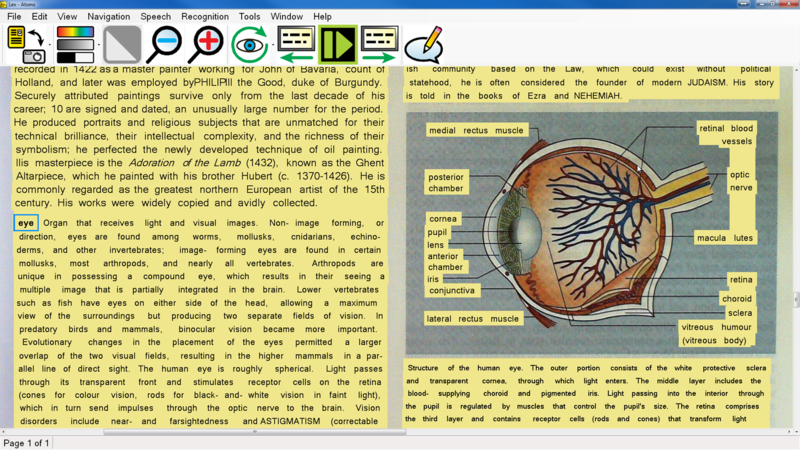 This can also be combined with speech output to further increase reading speed and degree of document comprehension. Lex Software has been designed to be as intuitive to use as possible. Sensibly grouped features, easy access toolbars with specially designed icons make it possible for users to start using the software with no training at all! Lex software running on a Macbook Air with VMWare Fusion 4.0 and Windows 7. Can read documents more easily if the size of the font or spacing between lines is increased slightly. This is Lex's number one benefit. With its advanced text visualisations and styling modes, users can find their perfect viewing style which makes reading far easier and more enjoyable. 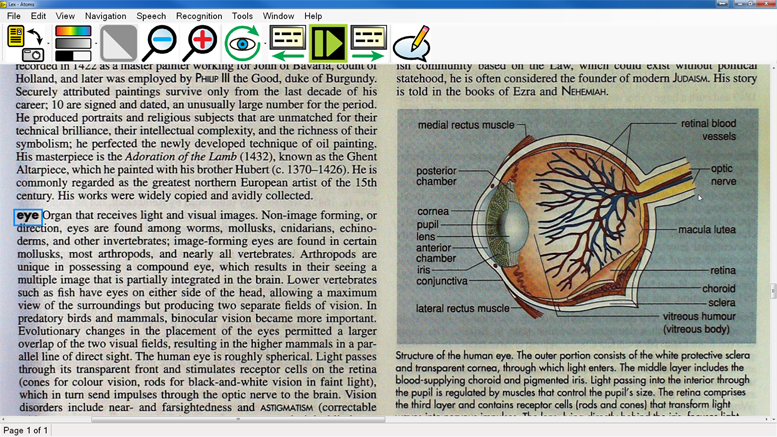 This can also be combined with speech output to further increase reading speed and degree of document comprehension. Lex has been designed to be as intuitive to use as possible. Sensibly grouped features, easy access toolbars with specially designed icons make it possible for users to start using the software with no training at all! Use standard flatbed scanners (from version 1.1 onwards) or the recommended LexCam to capture documents and books at up to 20 pages per minute. Once documents have been captured or scanned, they can be stored on your computer, meaning you never need to carry them with you again! Lex even remembers your exact position in each document when you re-open it. Lex uses the latest OCR (optical character recognition) technologies to ensure it is as accurate as possible. This means importing poor quality image based PDF files or previously scanned documents still give excellent results. Install the Lex software on up to 3 machines with every purchase, allowing the user to read and transfer their documents to multiple machines. Lex fully utilises the power of multi-touch on Microsoft Windows 7 to make the software more accessible. Simply double tap on a word to start reading from it or use pinch zoom for example. Import any existing electronic format document - PDF, Word, Email etc and reformat and read it directly in Lex. Export (including Quick Export) documents to Word, txt, RTF, MP3. MP3 export can be very useful as a revision aid. (Please note for most document import formats, either Microsoft Office is required or a suitable PDF printer). Using the latest natural sounding voices, Lex's voices are clear and easy to listen to for long periods. 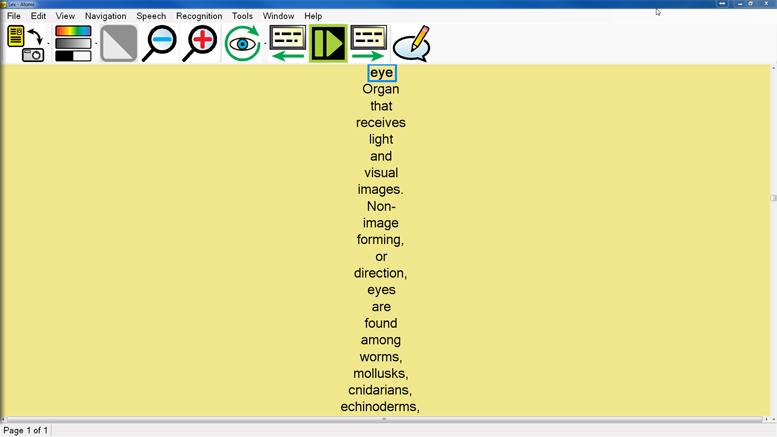 Automatic language switching: Lex is the only dyslexia software currently available that features the revolutionary automatic language detection and switching. This makes it ideal for users wanting to read more than one language - even on the same page! When capturing or scanning a document, Lex now has the ability to remove the additional area outside of your main document (background permitting) which means it stores only the information you need it to. This can also improve the quality of exported Microsoft Word documents. To help break up the reading of your documents, Lex now features the ability to automatically pause at the end of every line. This is especially useful when reading lists and tables. Lex Air icon for aquiring documents. 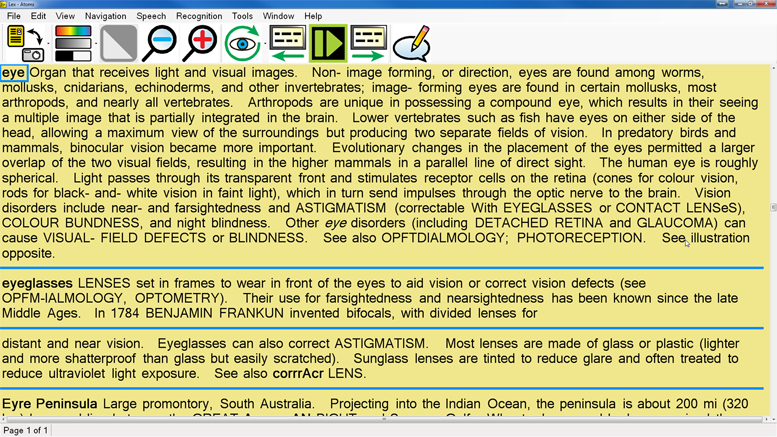 This view automatically wraps text across the screen depending on the user's chosen magnification level. The document can then be scrolled and read vertically. For users needing to hear all punctuation being read aloud, they can instantly enable "Speak punctuation". All forms of punctuation are then fully verbalised. Please note, this is for US and UK voices only at present. Mac users running OS X 10.6 (Snow Leopard) or newer, together with VMWare Fusion 4.0 or newer with Windows 7 can enjoy all of Lex's powerful features as if it were running natively on Mac! For schools, colleges and universities of all sizes, VisionAid International offer exceptional value site licenses. Please ask us for details - 1-877-724-4922. 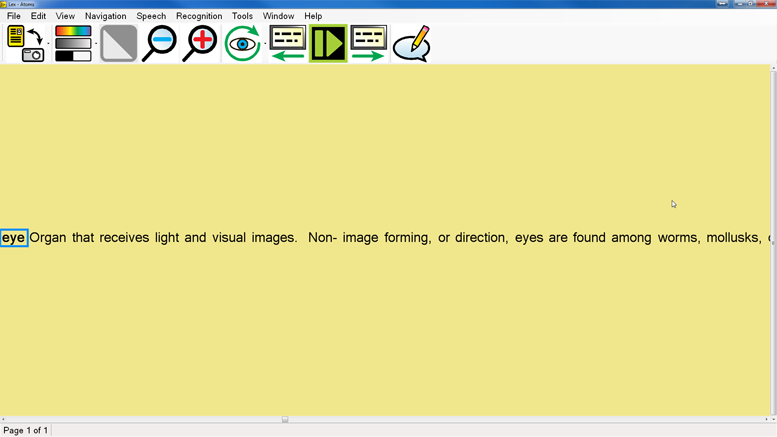 Lex is the first dyslexic software that features full automatic language detection. It is highly intelligent and allows sentence-by-sentence switching making it the perfect tool for learning and reading in multiple languages. Lex ships with one voice pack as standard. Additional Voice Packs can be trialled free of charge for 30 days and then easily activated once purchased from your local distributor. 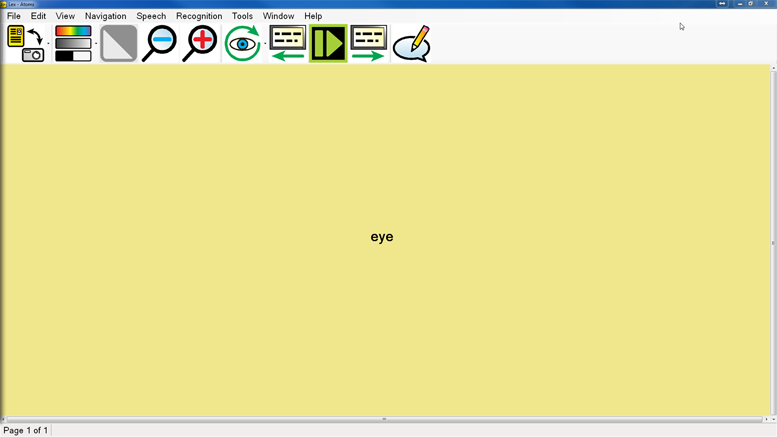 Featuring pinch and stretch zoom, press and hold document panning and double tap reading on a word, Lex can be even more intuitive to operate with a multi-touch enabled device running Microsoft Windows 7. Site licences: From Primary School and above include all languages and Vocalizer voices. Lex Software and each language you require must be installed on your computer. Therefore, for Lex Software English you must install 1) Lex Software and 2) English Language from the installation pack. To use French at the same time, the French Language pack must be installed (for a total of 3 program installations).